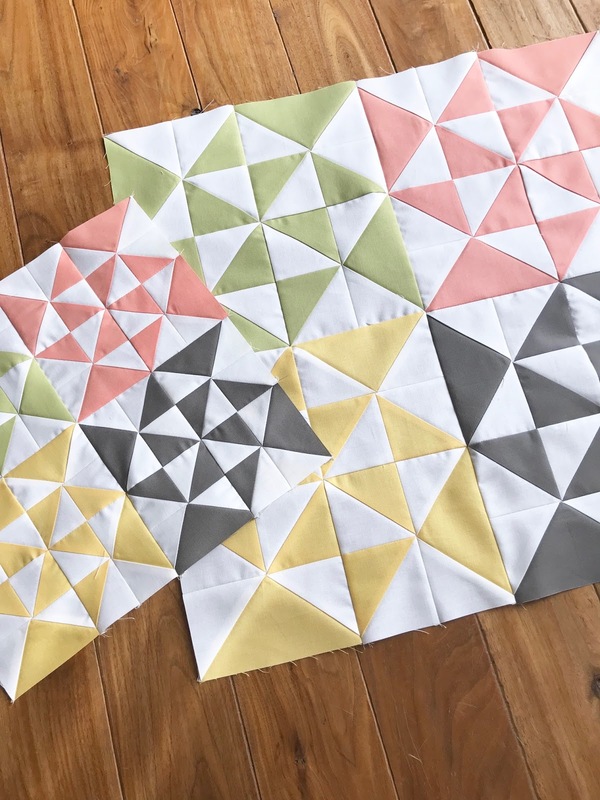 This is the third month of the Clementine Quilt Along hosted by Fat Quarter Shop, which benefits research at St. Jude Children's Research Hospital. 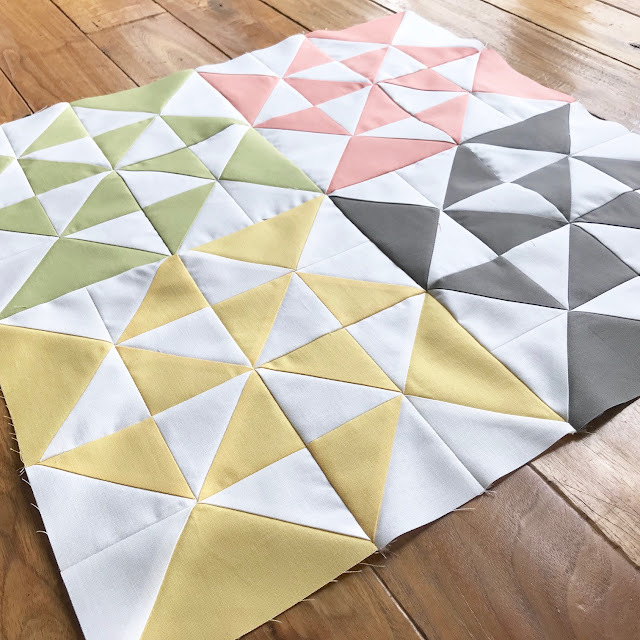 The Peaches & Plenty blocks use a great combination of half-square triangles and flying geese. It can be a little tricky getting all of the points to line up, but I found that using pins when stitching the pieces together was a huge help. I'm really happy with how this quilt is coming together. 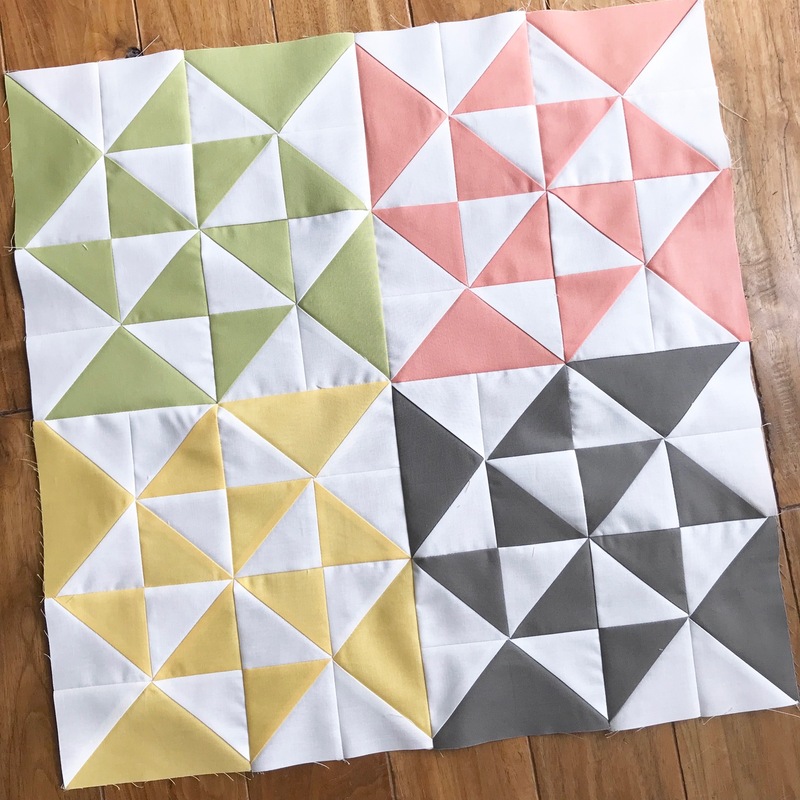 I'm really enjoying the Moda Bella Solids that I selected for my blocks. If you have not yet joined the quilt along, it's not too late! You'll end up with a wonderful quilt and will have the opportunity to donate to a worthy cause.